Home » Agri-Business » Do you still use the ‘blue book’? You don’t need to anymore! Do you still use the ‘blue book’? You don’t need to anymore! Many farmers still use the ‘blue book’ as their herd register despite the facility being available online. 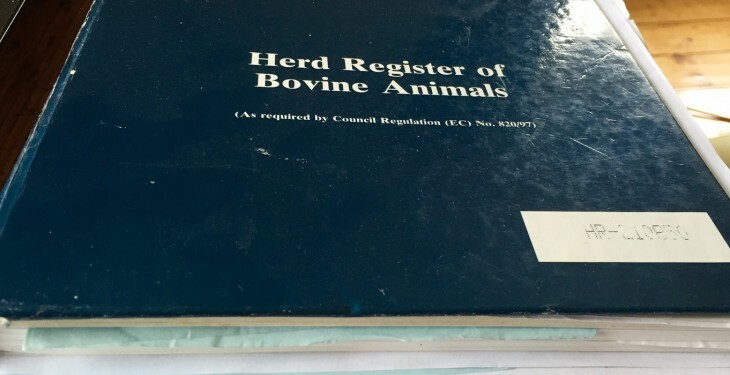 The requirement to maintain a bovine herd register is one of the four pillars of the Bovine Animal Identification and Traceability System and is required by EC Commission Regulations. 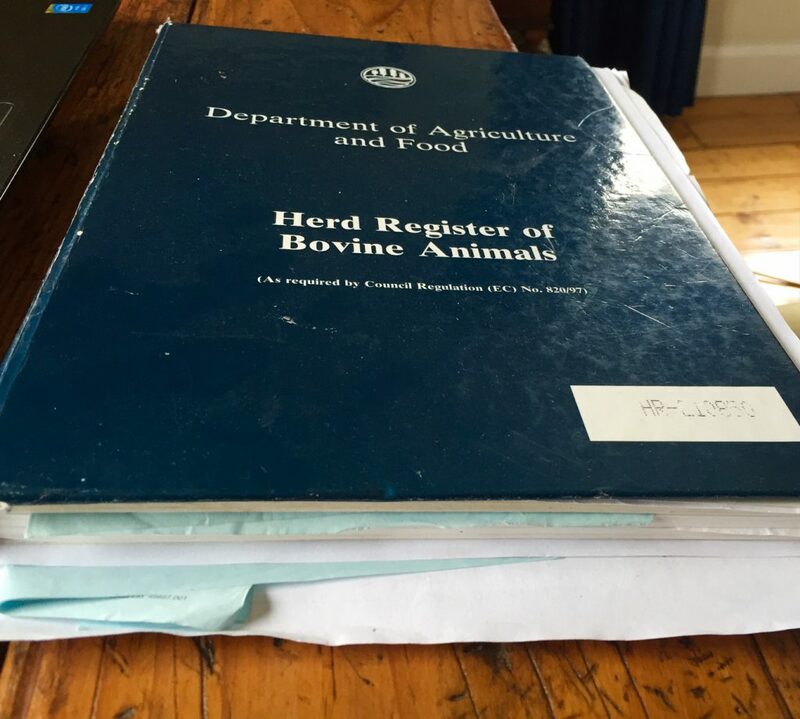 Under these regulations, herd keepers are required to record all births and movements/disposals in the Herd Register of Bovine Animals known as the ‘blue book’. However the Department has simplified the process of maintaining cattle records for herd keepers using the electronic register Agfood.ie. by removing the requirement to maintain the paper on farm bovine herd register. The Department highlights that keepers who wish to avail of this facility must complete a declaration agreeing to abide by the Terms and Conditions. It says such farmers are required to ensure the information on the electronic register reflects the activity in their herd and is accurate. According to the Minister for Agriculture Simon Coveney if information is not maintained by the farmer, it will still constitute a penalty at inspection if the on-farm position is not accurately reflected in AIM. The herd register has always been one of the options available to farmers for keeping the Animal Remedies Record. Nowadays however, many farmers prefer to maintain the Record electronically on their PCs. The Department says the important thing is that, in whatever format it is maintained, the Record contains the information specified in the EU regulations. EU Regulations governing the Direct Payment Schemes and other area-based schemes require the Department to carry out on-the spot checks to ensure compliance with Cross Compliance requirements as laid down in this legislation. According to the Minister, where non-compliances with these requirements are identified by means of an on-the-spot check, or where a non-compliance is brought to the attention of my Department, a penalty must be applied. However, he also says where a non-compliance is deemed to be minor in nature, a tolerance may be applied resulting in no financial sanction and the applicant is advised to remedy the problem. He said where the non-compliance is not remedied within a certain period, a penalty must be applied.